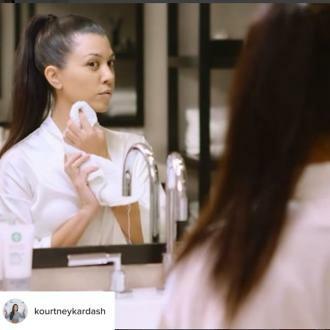 Kourtney Kardashian has a facial peel ''once a week'' and swear by Manuka Doctor's product because it ''always'' leaves her face feeling cleansed and plump. 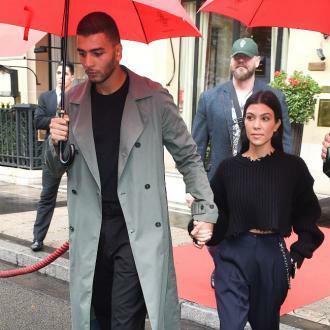 Kourtney Kardashian has a facial peel ''once a week''. The 37-year-old 'Keeping Up With the Kardashians' star - who was announced as the brand ambassador for the skincare brand Manuka Doctor in April last year - has admitted she uses the brands Purifying Facial Peel four times a month because it ''always'' leaves her skin feeling ''cleansed, pumped and tightened''. The brunette beauty shared a clip of her applying the product and ripping off the white mask to her Instagram account. Meanwhile, the reality star - who has sons Mason, seven, Reign, two, and four-year-old daughter Penelope with her on/off partner Scott Disick - has revealed she tries to avoid having plastic in her home and has organised her pantry, which has seen her re-distribute food products into glass jars because she believes food storage is ''important'' to one's health. Speaking previously about her storage and how she maintains a healthy lifestyle, she said: ''The way I organize my pantry is partly because I like how it looks, but also because food storage is important to your health. When I had Mason, I got really into researching the safest way to store food (and serve food, which is why I only use stainless steel plates and cups for the kids). ''I try to avoid having plastic in the house, so when we get new cereal, rice, grains, sugar or flour, I transfer everything into these glass jars. I put stickers on the bottom of each canister labelled with the expiration date so I can make sure the pantry is always stocked with fresh food. I also use a P-Touch label maker to clearly label each glass jar. Since food can absorb harmful toxins from being stored in plastic containers, I keep a large stock of glass and stainless steel vessels in the house.